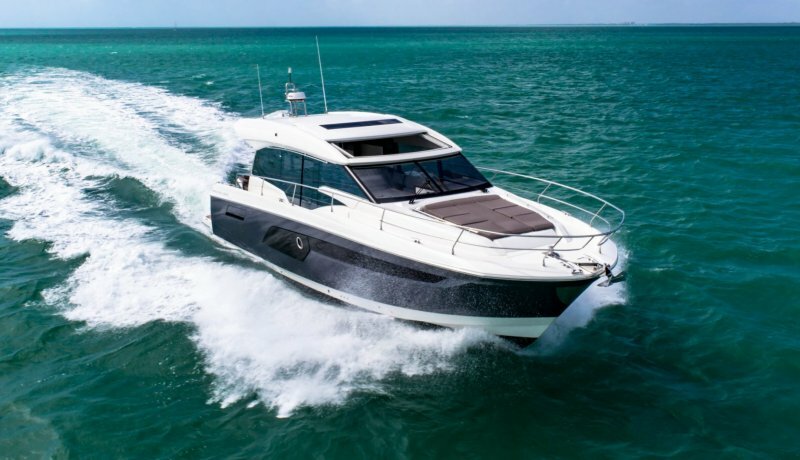 Launched 25 years ago, the Prestige range of motor yachts success is founded on a few simple concepts: all living spaces on one level, 360° panoramic views, and an independent owner’s suite. The art of Prestige is in combining these concepts in just the right way. Passionate and demanding, Prestige owners seek to realise their lifelong dreams aboard an exceptional, refined motor yacht that is built to last. 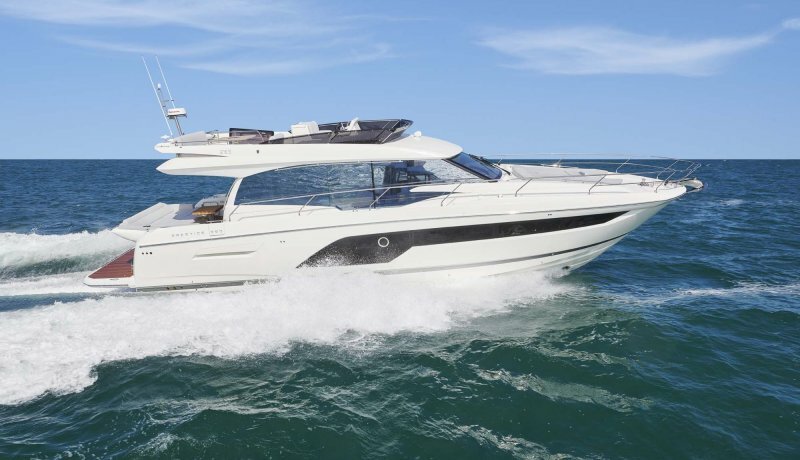 The brand’s clean lines, multiple living spaces and dynamic design have all contrived to maximise performance and comfort whilst allowing owners to enjoy the reality of practical luxury boating. 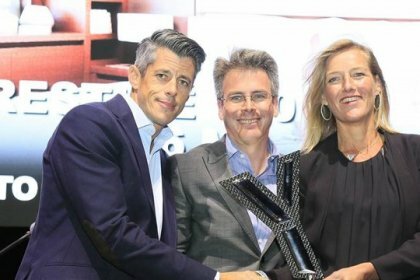 Our Award Winning Brands!Ancasta's motorboat brands shortlisted for the MB&Y Awards. 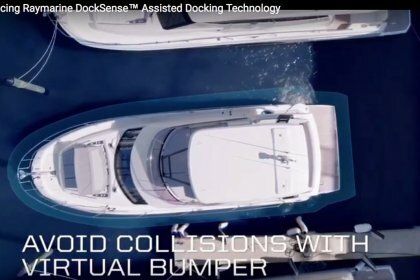 Raymarine’s DockSense™ is launched at Boot Düsseldorf. 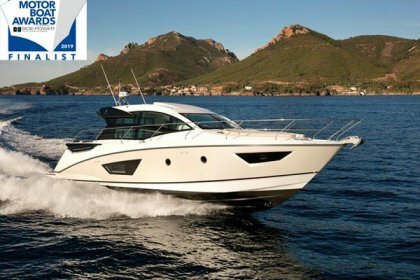 We are very pleased to announce the nomination of the PRESTIGE 520 for the 2018 best of boats awards! 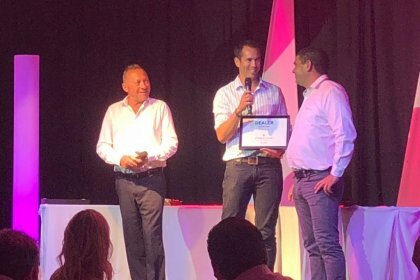 Ancasta were proud to receive the Dealer of the Year 2018 award from Prestige Luxury Motor Yachts last night at a glamorous event held in Port Bourgenay. The forecast leading up to this years rally was changeable to say the least. The original plan was to take the fleet ranging in size from 35 to 60ft over the channel to Cherbourg and Saint Vasst. 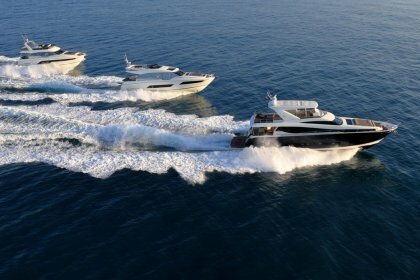 Being able to offer sales and servicing for Prestige Motor Yachts from Ancasta’s Mallorcan bases will benefit both international clients and locals of all nationalities living in the Balearics. 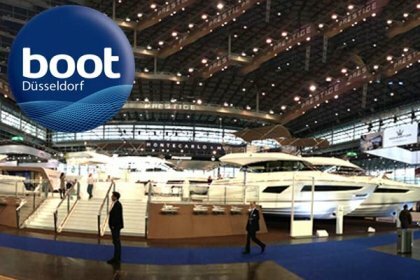 There is a fantastic array of power and sailboats from all the leading brands at this years Dusseldorf Boat Show and the doors open THIS Saturday. Be sure to secure your appointment to view. 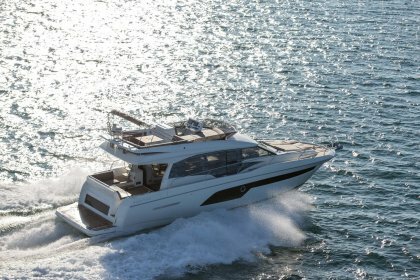 Alex Thomson launches the new Beneteau 51.1 at the Southampton Boat Show 2017 and Prestige launch the 520 and 460. 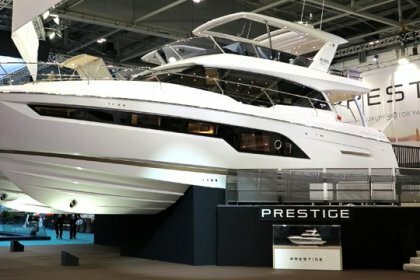 The new Prestige 630 is launched at the London Boat Show 2017. Thanks for everything - we've loved our first weekend on the boat - it took longer to unpack than we anticipated. Forgot to say in all the excitement - thanks for the towels, flowers, champagne and glasses, a nice touch. Lovely to hear from you and yes we are really delighted with Moose, We are down again this weekend with my daughter and son-in-law and will do more exploring around the south coast which we are enjoying more than we ever thought we would.I hope we do get a chance to meet up during the season, and if you ever need any testimonials about my appreciation of the 420 flybridge and the service from Ancasta then I would be happy to oblige. Handover all good. Boat is fantastic. Absolutely thrilled with the boat. Everything works as I would hope. Even Tom was impressed with the anchor cam! We just wanted to write and thank you for all the fantastic support and advice you have provided to us throughout the last 12 months since we first decided to purchase the 680.The boat is now well set up in Port Vauban, and we have had a great weekend cruising the coast here with the help of Nicholas who was really helpful so thank you also for arranging his time with us.You have been so thorough and committed throughout to help us make the best decisions for the boat; from agreeing the specification right through to helping secure delivery ahead of schedule. 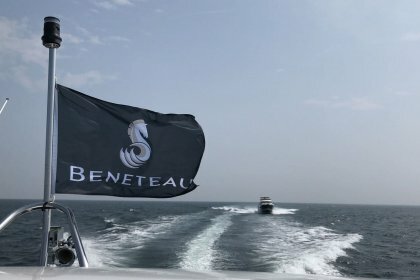 I would like to acknowledge your fantastic customer focused approach and all you have done to help ensure buying this boat has been such a positive experience for us.If we can be of any help or assistance in advising or helping with any other customers interested in the 680 please let us know, and next time you are passing Antibes do let us know and hopefully we can have some dinner. Each year the Ancasta Motorboat Club looks to create series of fun, informal events that are open to owners looking to take their boats to places they have not been before, to places they are perhaps not comfortable cruising to on their own or simply open to those who enjoy cruising in company. With a professional skipper, the cruises are safe and a fantastic opportunity to try new things and share experiences with fellow boat owners.